Just Reduced $19000.00 GREAT OPPORTUNITY! Country Living At It's Best! 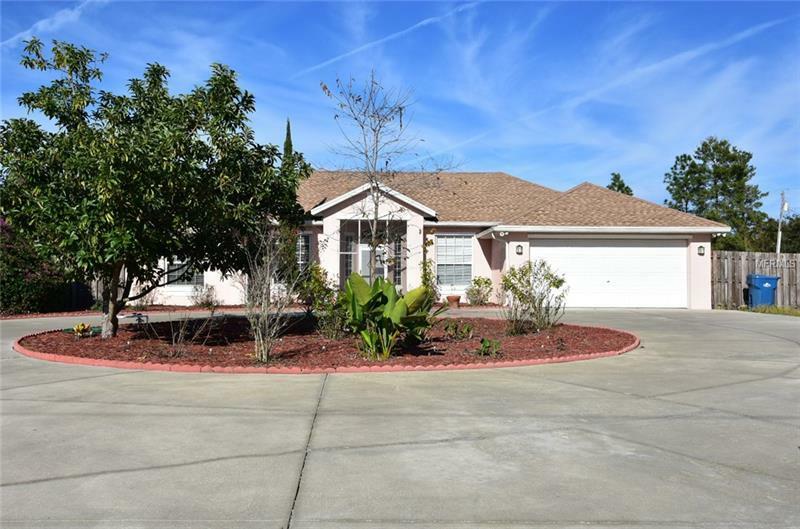 Gorgeous 4 Bedroom 3 Bath Home With Over 2000 Sq. Feet. And Featuring Tray Ceilings Beautiful Countertops And Solid Wood Cabinets In Kitchen Ceramic Tile In All Common Areas Kitchen Bathrooms Formals Family Rooms Plus Back Porch And Screened Room. New Carpeting In Master Suite. Exterior Features Are Automatic Gated Entries Circle Drive-In Front And Long Tear Drop Drive In The Rear Of The Home Surrounding The Huge 30 Foot By 40 Foot Steel Building With High Dual Roll Up Doors Perfect For RV's Boats Trailers And Other Equipment. The 2.5 Acres Of Fenced Land Allows For The Addition Of More Structures Livestock Tractor Trailer Parking Etc...Etc... And It's Conveniently Located On The Corner Of Doyle Road And Mitnik Dr. For Easy Access To Both Gates And Close To !-4 And State Road 415. This is The Perfect Property For Anyone Looking For Wide Open Spaces. Call For Your Private Viewing Today!